If it is one thing Wales has in abundance, it is beautiful homes, historic landmarks, and enviable open spaces. But how would you like to be the proud owner of one of the best views the country has to offer? 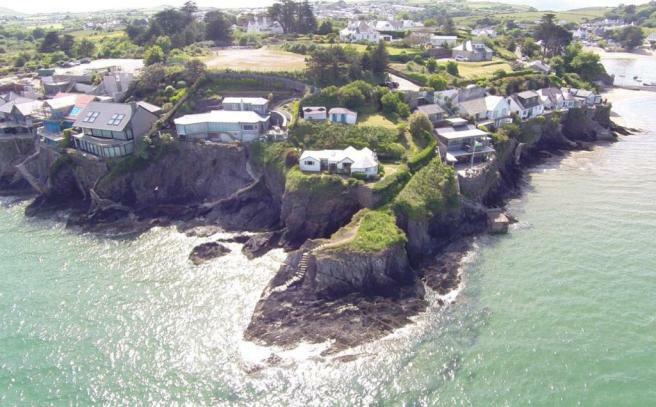 The gorgeous 2.2 acre Saundersfoot beach in Pembrokeshire was put on the market this summer, with an asking price of just £250,000. Anyone who knows this iconic Blue Flag beach will appreciate how tempting this is. Many generations of families have enjoyed holidays and leisure activities on its sand, and many magical memories have been made there. The current owner is looking forward to semi-retirement after the 2017 summer season. He is looking to sell fast and hopes that a new owner can be found to carry on the family-friendly traditions of this truly unique South Wales property. The buyer will get Saundersfoot beach and its business goodwill, plus three access points and a small building – potentially the best-appointed office in the whole of Wales. A purchaser could also negotiate separately for assets such as the sun loungers, parasols and wind breakers, and a handy hot food trailer on site. 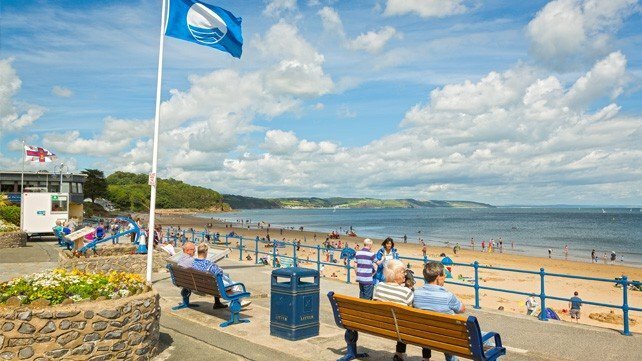 There is potential for new business ideas to boost trade at Saundersfoot too, though these would have to be approved by the Pembrokeshire Coast National Park Authority. Better still, you don’t have to worry about keeping your stretch of beach clean, as this stretch of coast is carefully maintained by Pembrokeshire Council. This not the only recent example of the fortunate few being offered a chance to purchase a share of the spectacular Welsh coastline. Property in Wales sometimes comes with a chunk of pure heaven. 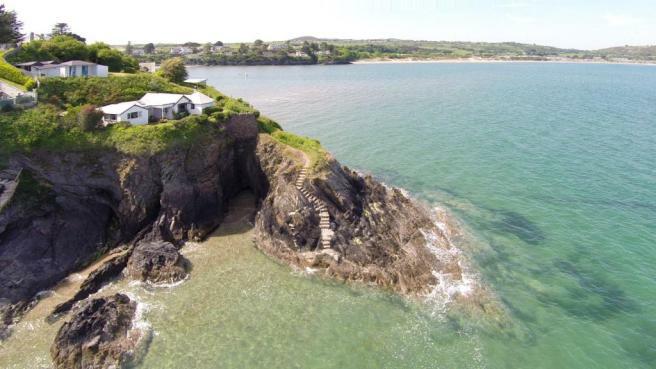 Last year, Benar Headland, Abersoch went on the market for a whopping £2,255,000. A price tag made possible due to the six bedroom house there provided the new owners with 180-degree views over the sea, to St Tudwals Islands and onwards to Cardigan Bay and Snowdonia. Owning a beach may not appeal to everyone, but Wales offers other stunning – and sometimes downright quirky – opportunities to buy landmarks and unusual properties. In fact, Wales is full of property stories thanks to its rich heritage. It is not long ago that someone with deep pockets had the chance to become the owner of one of Wales’ many castles. The 14 bedroom Westbury Castle near Prestatyn, Denbighshire, has a fascinating history attached to it and was offered at an asking price of a cool £5 million, complete with its own private chapel. Another example of a quirky property changing hands in the last few years is the fabulous Point Lynas lighthouse. Sold as a nine-bedroom home, the new owner can now wake each day to expansive and ever-changing views across the Irish Sea. Among the “neighbors” will be nesting sea birds and visiting dolphins. If something more enclosed is more your style, a cottage came on the market a couple of years ago in Glyn Ceiriog, near Chirk, which included its own series of caves and caverns. It is not only family homes that offer quirky property prospects in Wales. Just as running a family friendly beach might be a dream come true for some folk, living and working with animals could tempt some property hunters in Wales. Last year one entrepreneur with vision had the chance to get their teeth into a Pet Hotel in woodlands near Bwlch, affording views across the Brecon Beacons. 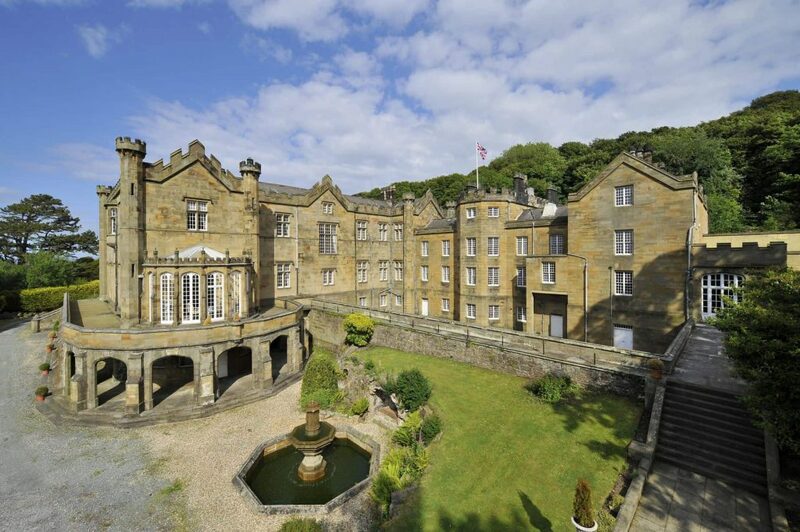 Last year also saw a chance for an investor to buy up the Grade II listed historic Llawhaden House, which has the Llawhaden Castle as its neighbor. The fire-damaged home and its outbuildings were marketed as a project ripe for new purpose and value. Wales is of course also resplendent in plenty of properties of “normal” type, shape and size – many of which boast views that would give a beach and lighthouse some competition. But for many property buyers here – as with elsewhere in the UK – beauty is in the eye of the beholder. Wales is also a rich source of properties best described as a “project”, in need of tender loving care. 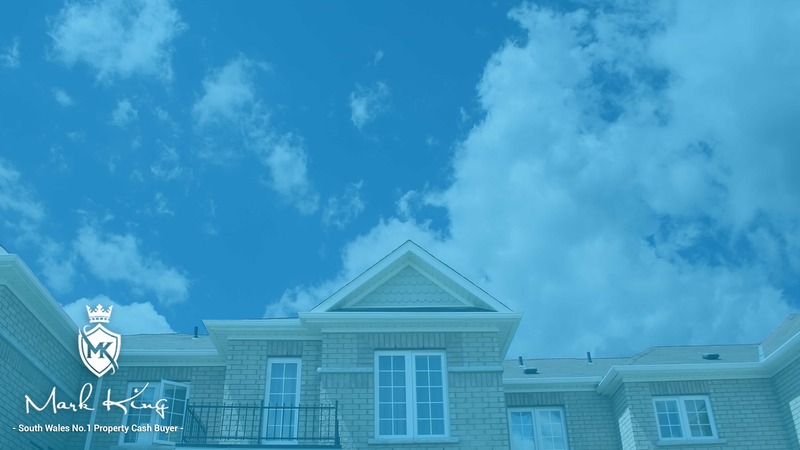 Local authorities and other public and private sector bodies have begun making a concerted effort to sell repossessed or abandoned properties to anyone with vision and a penchant for hard work. This means that last year, there were some bargain properties changing hands for as little as £5,000-£10,000 in Welsh towns and villages. 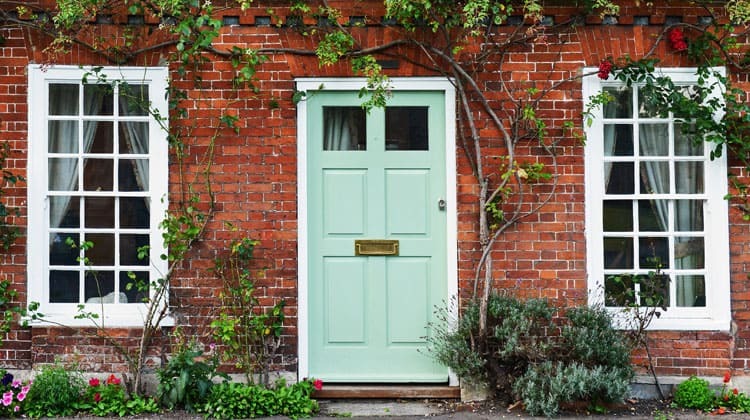 And of course, buying a property to do up can be a great way for first-time buyers to get a foot on the property ladder, which hopefully will net them a healthy profit further down the line. So whether you are interested in beaches, castles or “wrecks”, Wales can truly say its property market has something for everyone.